There are many factors that determine a woman’s fertility level. Doctors have determined that disruptions in your circadian rhythm are among those issues. 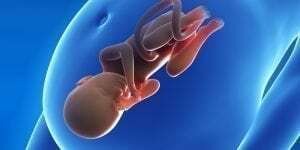 Biology is naturally a huge factor in determining your ability to conceive a child. However, there are many factors that can come into play and determine whether you might have a more challenging go of it. It has long been known that women of reproductive age need sufficient sleep on a daily basis to maintain a normal range of fertility. There is a direct relationship between the reproductive system and the circadian clock. The human body is meant to function properly when it receives adequate rest. There is a natural sleep-and-wake cycle that is necessary for normal functioning, which includes the way the reproductive system operates. The circadian rhythm plays a large role in functions such as eating, sleeping, and hormone production. When it gets dark outside, the body prepares to slow down. 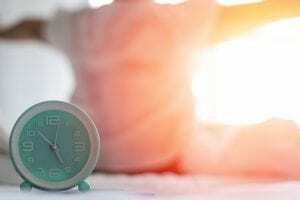 When there is a change in the circadian clock, however, it can directly impact a woman’s fertility and an egg’s likelihood of becoming fertilized and developing into an embryo healthy enough to withstand nine months of pregnancy. When there is a drastic change in the environment, the body has to readjust, which can adversely affect a woman’s menstrual cycle. How Do Light and Darkness Influence Fertility? There was a study performed on how various times of the day can impact productivity. Researchers looked at female mice after they mated with males. The females were split into two groups, the first being exposed to six hours more of daylight than the other. Twenty percent of the non-daylight mice ended up having litters. While the reproductive system of mice is not necessarily comparable to that of a human, the researchers agreed that the study’s findings were useful. When there are disruptions in the sleep-and-wake cycle, the body is stressed, which can interfere with a woman’s menstrual cycle. As a result, the production of hormones may be off, and it may become difficult to conceive a child. In addition, other complications can arise when there are sleep-wake disruptions, including miscarriage and premature birth. Certain activities can disrupt your daily rhythms and potentially adversely affect your fertility. One of the biggest disruptions is working night shifts as this can affect your sleep-wake cycle. Individuals who work night shifts have certain routines during the day, which causes them to adapt to being awake at night and sleeping during the daytime. In turn, this can have negative impacts on the reproductive system. This is especially the case when individuals with such schedules have poor sleep. Traveling can adversely affect a woman’s reproductive system due to changing time zones and having to adjust to different circadian cycles. While the body readjusts to a new time zone, it can result in irregular menstrual periods. Even keeping the light on in your bedroom can have this type of impact as it puts added pressure on the body. 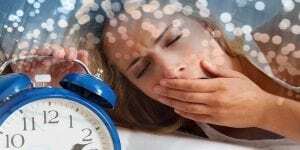 Of course, sleep disorders are another issue that leads to the disruption of daily rhythms. When people suffer from a problem such as insomnia, they have difficulty achieving a regular amount of quality sleep. Many who suffer from such disorders may only get four hours of sleep, which can adversely affect the reproductive system. Set a Routine Sleep Pattern: Go to bed and wake up the next morning at the same time daily. Avoid staying up all night or going to bed very late and binge-sleeping to make up for it. Take Up a Soothing Routine Before Bed: Bathe in a warm bath for an hour or eat a light snack before bedtime. Keep your bedroom at a temperature that’s comfortable for you and dim the lights to relax. Avoid Napping: Napping can disrupt your night’s sleep. Stay awake during the day and keep a normal schedule. Avoid Caffeine, Alcohol and Nicotine: Caffeine, alcohol and nicotine are stimulants that should be avoided as they can interfere with your ability to get a good sleep. Exercise Daily: Exercise daily and make sure you don’t do it less than an hour or two before bed. See a Doctor for Sleep Issues: Talk with your doctor if you have sleep problems so that you can get treatment. When you get regular sleep, your circadian rhythm will be level, your fertility will be improved and you can look forward to better chances of conceiving.